If its Thursday its SFWMD! If its Thursday its SFWMD. From our good friend Cristy Costello. A true ray of sunshine and endless energy. 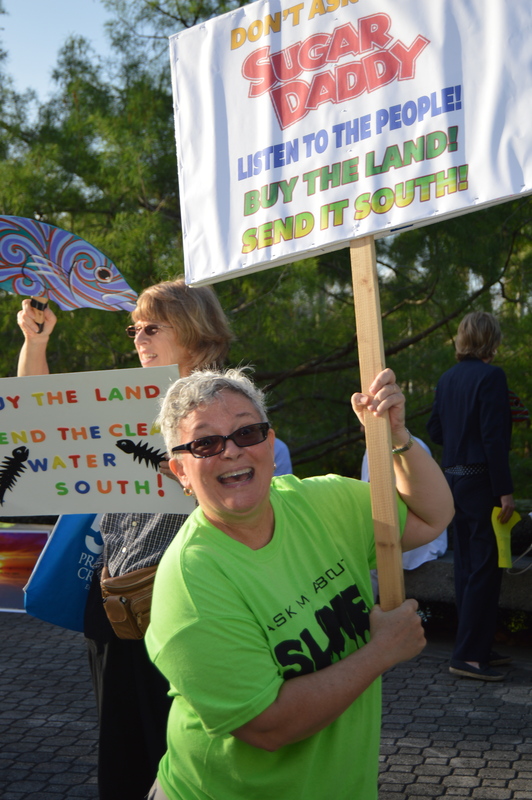 This Thursday at SFWMD in WPB – don’t miss it! Come one and all to the Governing Board meeting this Thursday in West Palm Beach! If you have attended these meeting in the last few months, no doubt you are tired of being ignored. But the thing is, we cannot stop now. This will not be over until we say it is over. Because of the Special Legislative Session we still have time to (1) fight for the land to send water south and (2) shine a light on the consequences of the Governing Board’s inaction. It is high time the Governing Board members themselves feel the heat. Folks should arrive between 9 and 9:30 am so we can organize ourselves for the Governing Board meeting and prepare for a possible press conference at 12 noon. The US Sugar land purchase agenda item should come up between 10 and 10:30 am. This item will discuss the October 11, 2015 U.S. Sugar Corporation Non-exclusive Initial Option and how to proceed forward. If you want to speak during the comment period please sign up for item #32 before you enter the auditorium. WE WILL HAVE NEW MINI-POSTERS AND PROPS for all. 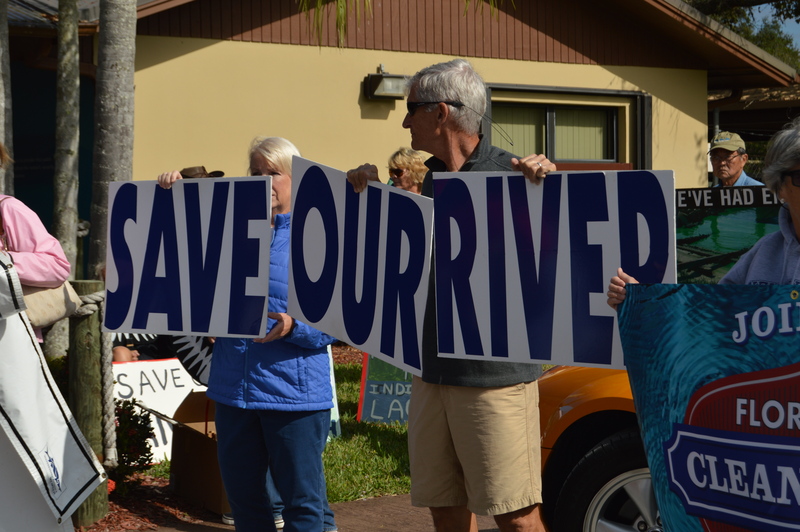 Thanks Cristy and the amazing endless support from the Sierra Club, Florida. Please do not forget that the Board of Govenor’s are unpaid volunteers. If this too subtle for you just look at Rick Scott’s new panel for Hospitals where he is taking the money away from non-profits hospitals that are the main folks that treat the poor. “Gov. Rick Scott on Monday named nine people to his newly created Commission on Healthcare and Hospital Funding. How dysfunctional is this behavoir? Rick Scott and his Florida GOPers hate Obama (why?) So they are taking away from poorest people. Unfortunately there is more than enough to go around. Nothing good comes from hate. And nothing good comes when your ego is so inflated you can’t see past your nose and lack the ability to see the big picture. Sometimes you just cut off your nose to spite your face. When thousands of people are contacting you to fix something I think it’s a bad move to ignore them. I’m not sure if we are the nose or the face. Some day’s I’m the nose and some days I’m the face. OUR MISSION: To manage and protect water resources of the region by balancing and improving water quality, flood control, natural systems and water supply. The South Florida Water Management District is a regional governmental agency that oversees the water resources in the southern half of the state, covering 16 counties from Orlando to the Florida Keys and serving a population of 8.1 million residents. It is the oldest and largest of the state’s five water management districts. Created in 1949, the agency is responsible for managing and protecting water resources of South Florida by balancing and improving water quality, flood control, natural systems and water supply. Do I really have to reiterate? The BOG haven’t even taken the time to read the mission statement. So when you guys do down there please include this in your speech. Ask them what they plan to do to stop the discharges? Ask them why if they knew for weeks there was toxic green algae didn’t they say anything? 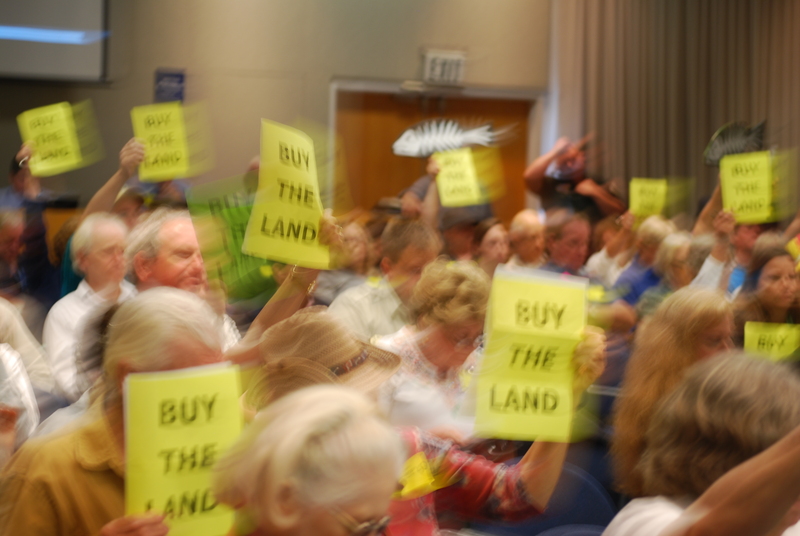 Ask them what is the plan to recharge the aquifers, stop sea level rise and salt water intrusion. Do it. They don’t have a plan because the only plan they have is to oppress us and steal our water. Ask them why in the last two years have they not fixed the dike in the south of the Lake? wake up and smell the koch brothers. In the last two years my friends and I have done everything possible to make buying the land a possibility. Yet, last week what went around came around and we were back at the very place we started. Green toxic algae at our doorstep. Apparently no one is in charge. No one. The blame game goes around. SFWMD blames it on the legislators. The legislators blame it on the ACOE. The ACOE blame it on the people that live south of the Lake and their safety. The people south of the lake thumb their noses at us fully funded by big sugar. Two years after our river turned green we still have no solution. So when you guys go please ask them what is their solution? What is their plan. The definition of insanity is doing the same thing over and over and expecting different results. That goes for all of us. Let’s not be insane. and lets all be gladiators. Be the good guys. Change lives. Slay dragons.